Eclectic medicine was a branch of American medicine which made use of noninvasive therapies and healing practices popular in the latter half of the 19th and early 20th centuries. Eclectic medicine became a populist expansion of early American herbal medicine customs, such as those of Samuel Thomson and Native American medical traditions. The Eclectic physician aimed to provide healing therapies that were in harmony with the body’s natural curative properties. In this quest, the Eclectics were determined to develop a distinct American materia medica. They primarily used plant-based drugs that were indigenous to the United States. The Eclectics’ rebellion against the old invasive medical modalities reflected the democratic principles of the young United States. The Eclectic Medical Institute (EMI) received its charter from the state of Ohio in 1845. The EMI grew into the leading Eclectic medical school during the 19th century with distinguished professors such as John Milton Scudder, John King, John Uri Lloyd, Andrew Jackson Howe and Frederick John Locke. 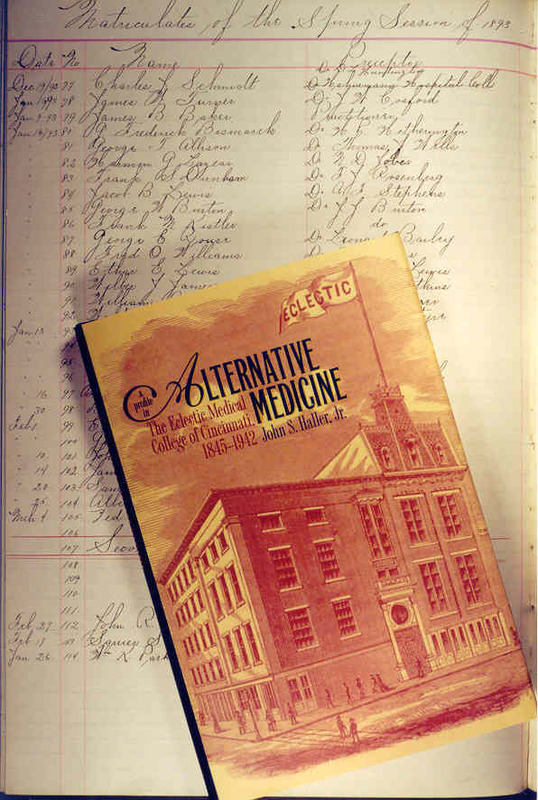 During the early 20th century, varying perspectives on medical practices and the American Medical Association’s work to establish uniform medical education requirements led to the demise of medical Eclecticism. In 1933 the EMI reorganized facilitating the graduation of the final matriculating class in 1939. The EMI permanently closed its doors in 1942.